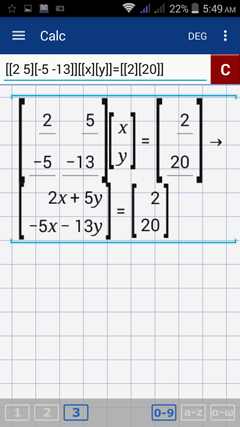 Write the given matrix as a system of linear equations. Note: tap ( or ) twice to use brackets [ or ]. 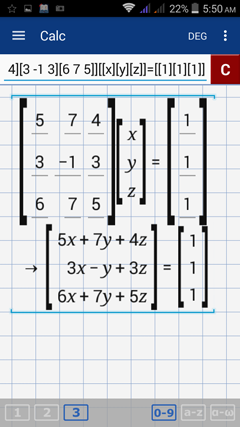 Tap the x variable key twice to use the variable y and three times to use the variable z​.